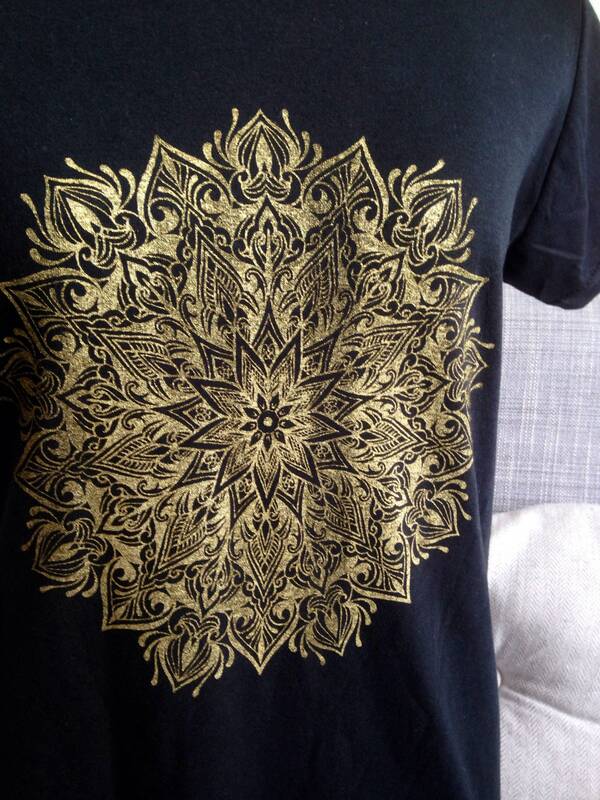 I love drawing mandalas and thought this design makes nice print on tshirt. 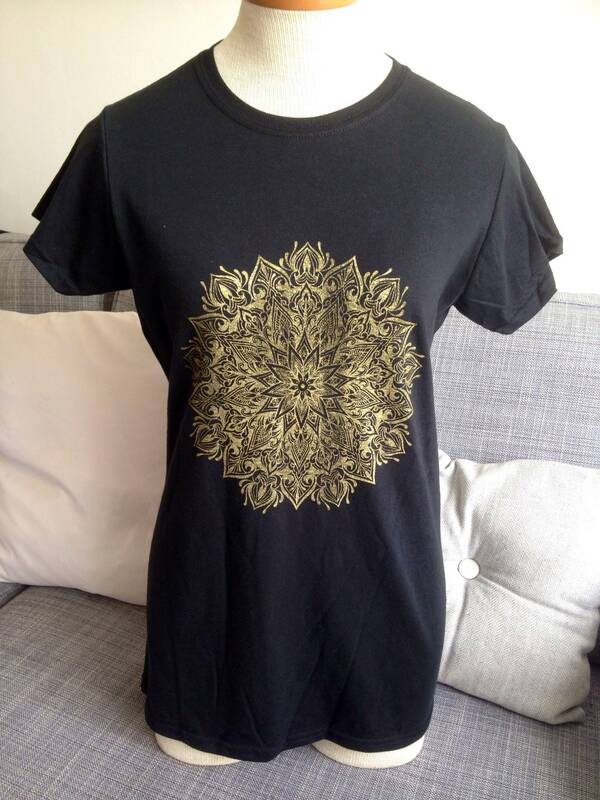 I have screen printed the design onto this black unisex T using water based fabric ink. Feel free to ask questions about my product and let me know please if you wish to have this design printed onto different size/colour Tshirt. Please note that the result of hand printing can differ slightly in each product.